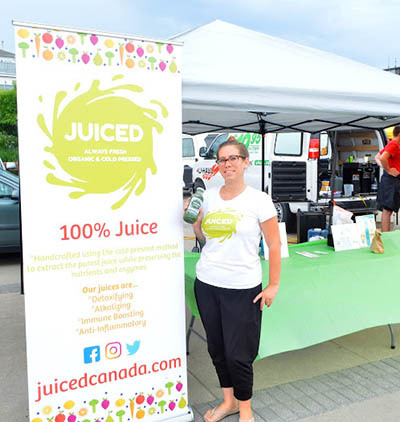 Juiced is a cold pressed juice business in York Region. We provide weekly juice delivery around the region. Each juice is pressed and delivered fresh to your door. We believe food is a powerful tool that aids in maintaining health and vitality. We are dedicated to providing you with convenient access to healthy and nutritious options. Our mission is to provide convenient and accessible plant based nutrition to the community while offsetting our environmental footprint. Our juices are bottled in glass and we encourage customers to reuse and recycle them. Our products are organic, sugar free, vegan, gluten free and 100% all juice. Cold pressed juices are made fresh and unpasteurized making them highly perishable and are best consumed within 3-4 days.